The day of giving is a one-day fundraising drive held by non-profit organizations. The main reason why they run the day is so that they can popularize their work hence getting more donors and more importantly raise money for the continuation of their volunteer work. 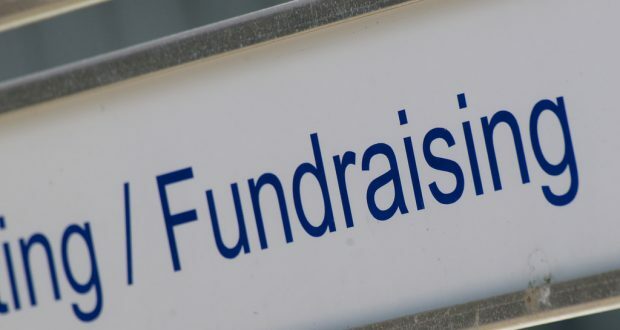 While it is during this internationally recognized day that all non-profit organizations carry out immense fundraising, some organizations hold their giving days randomly. The main aim of this day is to bring as many people as possible together so that the day can produce as much money as can be fund raised in a single day. During this day, everyone in the organization is tasked with creating awareness about the organization and giving their own contributions. If strategic plans are put in place before the day, it can turn out to be quite successful. Many organizations have been known to succeed immensely due to proper planning. For any organization to succeed in their fundraising, the fact that they need to start planning early can not be over emphasized. Try to write down points and things to do as you go ahead. This helps you remember everything you need to do. Waiting until the last moment can confuse you and lead to unfulfilled goals. Because this day attracts global activity, many cons are bound to come out. You do not want to spoil a good cause. The best thing to do is to be and remain honest about what you do and why you are running the Day of Giving. Remember that a simple mistake can cause doubts in the minds of your donors leading to a big downfall of your organization. Developing a brand name for your fundraising mission is capable of attracting many donors to your cause. There are many brands that would be in line with your organization’s mission. Be creative with your branding. Being specific can bear more fruits than just speaking generally. Specify what your organization seeks to raise at the end. Outline strategies that you as an organization have set aside to see to it that you have offered your own contribution to the same. This will convince your donors that you are as committed to the day as you would want them to be. For you to have a successful day, you will want to have a committed and equally motivated staff. This starts with you. Encourage your staff to be passionate towards your vision. Delegate specific duties to everyone and ensure that they deliver favorable results. At the end of the day when the organization thrives,it is for the benefit of everyone involved. As you have noted, a Day of Giving will need months and months of planning. In fact, you should start preparing for the next one right after you are through with the current one. That way, you will have enough memory to remember the successes and the failures you noted with the ended one. You will be in a position to strategize on how to avoid those failures next time.